There is something so hypnotic to me about square motifs turned on the diagonal to create a diamond formation fabric. In order to have smooth edges, additional shaped motifs are required for this style of construction. Deconstructing motifs broadens the designing horizon in so many different ways. Modifying a square motif into a 3-sided triangle motif can be done in two ways: in rows or rounds. Depending on the design elements desired, each has its benefits. For this project, working the triangles in rows created the width I desired for the top edge of the shawl. Placing the triangles along the top edge also made for a simpler construction. Each one is joined in only one corner. And for the remainder of the project, each diamond formation square motif is joined on 2 sides. 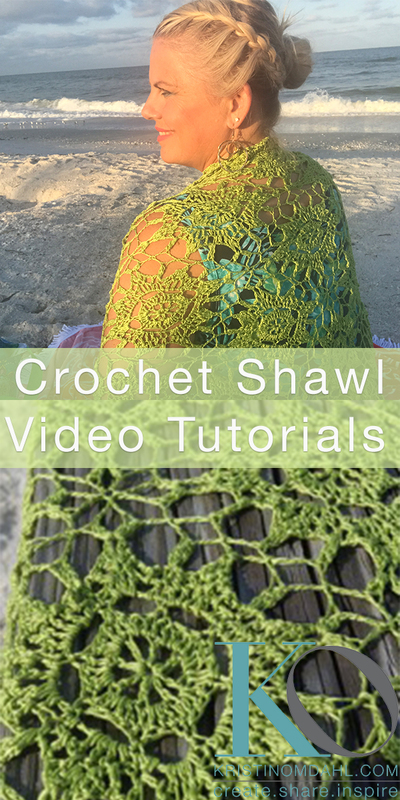 In the video series you will find 4 parts to the tutorial PLUS 10 additional stitch glossary videos demonstrating each individual stitch used in right hand, left hand and slow motion instructions. In part 1, learn how to navigate the written pattern. 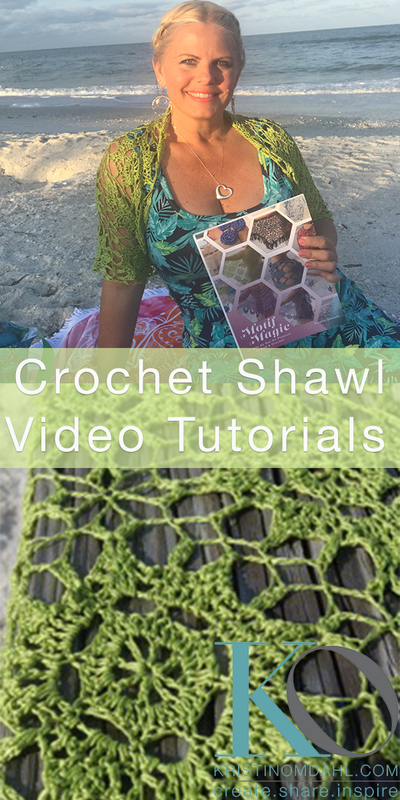 In part 2, learn how to crochet the triangle motif. In part 3, learn how to crochet the square motif and join it to the previous motifs as you go. And in part 4, learn how to block this beautiful shawl in Wrapture all natural delicate wash.
May 10 New Colors of Be So Fine BLING Yarn!